“Compact” does not necessarily mean “underpowered”. Between the personal users and the office worker, there is a group who needs sharp prints quickly but needs it to take up little space. 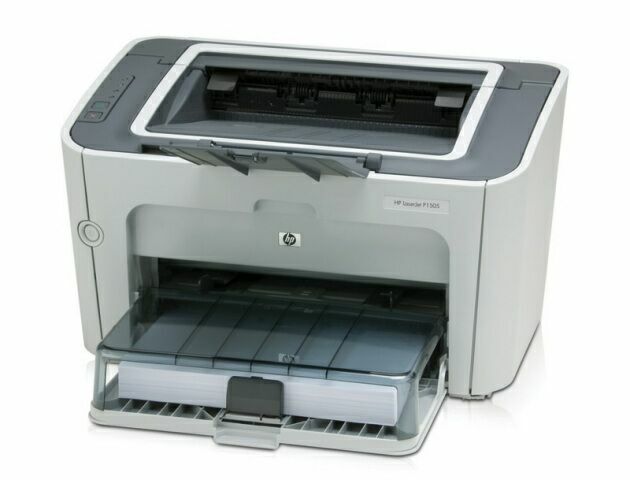 The 2007 HP LaserJet P1505 meets their needs. Emulating 1,200 dpi resolution at 24 pages per minute, this monochrome USB printer still takes up the same space as many smaller-capacity printers. Coming out of the box at 13-pounds, the rounded LaserJet P1505 has a footprint of only 15” x 9.5”—with the paper flip-tray closed. When loaded with paper and the dust cover in place, you’ll need to add an additional 4.5 to 7.5 inches to it’s total depth. The P1505 has one of the fastest warm-ups for laser printers. After only a 6.5 second delay, this LaserJet starts printing single-sided 8.5” x 11” sheets at 24 pages per minute. A sizable 250-sheet flip-tray supports paperweights from 16# to 28# paper, and sizes ranging from 3” x 5” up to 8.5” x 14” legal size. The P1505’s has a 10-sheet multi-purpose slot for labels, cardstock up to 43-pound bond, envelopes, and transparencies. The control panel consists of separate start and cancel buttons and four LED indicator lights. The Toner and Ready lights are self-explanatory. But the ambiguous Attention light can mean anything from “I’m out of paper” to “Fatal error!”, depending on the flash patterns of the LEDs. It might be a good idea to print a copy of the error codes and tape it to the side of the printer. With HP’s FastRes 1200, the LaserJet’s native 600 x 600 dpi resolution is enhanced to produce prints of 1200 dpi quality. This keeps printed text sharp--even at 6-point font sizes--and does a decent job with printing photographs in B&W. 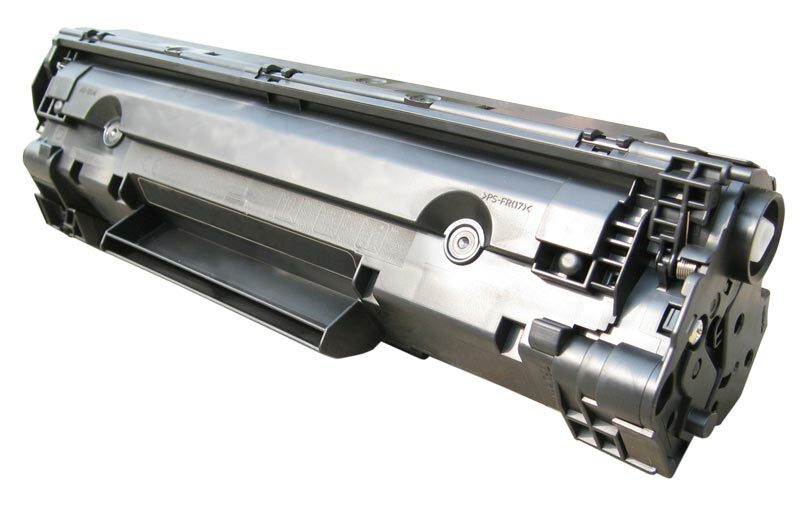 Like all LaserJets, the P1505 comes with a Toner Save feature to conserve on ink. While idling below 25 dB, the printer produces 53 dB of sound printing. To give you an idea of what that means: 50 decibels is about the level of low conversations and 30 decibels is the sound of a quiet night in a desert (excluding the Las Vegas strip). The noise while printing is barely discernable sitting in a classroom or a large office area, but printing in a bedroom is another story. For all of its virtues, it’s amazing that HP would only equip the P1505 with only 2MB of memory. If you have any large PDF or multi-page print jobs, your 24 ppm print speed will be hamstringed as the memory needs exceeds the availability on the printer. Printers by other manufacturers with similar features have at least 8MB (including a manufacturer they did a comparison sheet against). 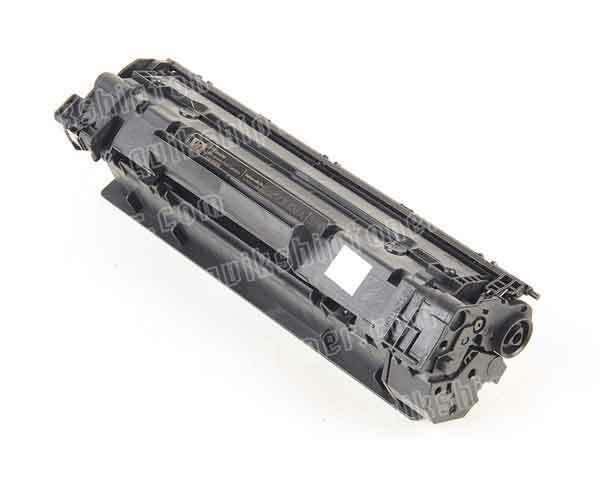 Review it: "HP LaserJet P1505 "
The LaserJet P1505 toner and drum are integrated in a single cartridge, making it easy to maintain. The printer comes with a “starter cartridge that is good for about 1,000 pages (if you only print text and no graphics of any kind). A full standard cartridge will provide 3,000-pages per cartridge. Of course, if the pages have a lot of graphics or grayscale charts, expect your toner yields to drop 50 percent and more. If any PC people are curious about how much ink you’re about to put on a page, try out AVPSoft’s APFill Ink & Toner Coverage Calculator software and be prepared for a surprise. If your business intends to use this printer in payroll specifically for check printing (making the P1505 ideal for this kind of duty), a special Magnetic Ink Character Recognition (MICR) ink cartridge is available.